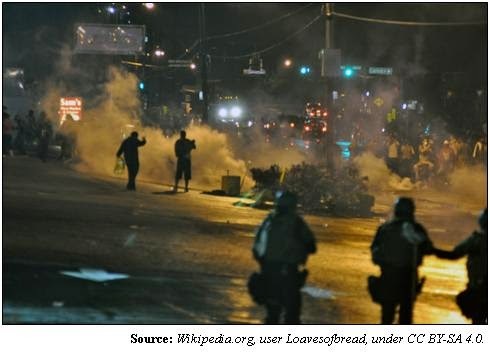 ARRA News Service: Ferguson: What Lessons? by Rick Manning: In an unheard appeal for calm in the wake of a Grand Jury’s decision to not indict Officer Darren Wilson in what was determined to be a justifiable shooting of Michael Brown in Ferguson, Mo., President Barack Obama urged that we learn lessons from the tragedy. But what lessons will be learned? One that was readily displayed across the nation’s television sets was that in spite of overwhelming forensic and other physical evidence, those leaders with a vested interest in the victimhood of Brown refused to listen. Forensic evidence be damned, Robinson and others of his ilk for some reason psychologically need Michael Brown to be the embodiment of an entitling victimhood. This failure is likely a result of a culture frozen in the racist past and unable to see the massive strides that have been made to break down barriers of discrimination. There never have been any fact-based allegations that Officer Wilson’s actions that night were based upon race, the only racial dynamic is that a white officer of the law shot and killed a black man who attacked in him his vehicle trying to get his gun, and then rather to submit to arrest, turned and ran at the officer. If Wilson was black, this incident would not be known by many even inside Ferguson, but he wasn’t. And those who profiteer off of hate and misery descended on the small town with Holder amongst them. Maybe we can have a national conversation about that, if Holder only had the courage to look at it honestly. Perhaps the media will learn a lesson. However, the breathless reporting that Brown had his hands up in surrender when he was gunned down became the narrative that drove the lynch mob against Wilson. This reporting was debunked in the end by the Grand Jury, but many misinformed protestors continue to cling to that visual. The 24/7 media cycle that demands fresh information to feed the beast no longer seems to stop to question whether the information is true or not, or what the consequences of reporting it might be. They merely “report” what they are hearing, spend hours analyzing it until even those talking about it believe that what was a rumor is hard fact, and then move on to the next tidbit. In their wake, professional agitators like Al Sharpton use these fog of war reports to pour salt into the wounds of the grieving family without regard for the injustice they are committing. Who is naïve enough to believe that the get it first wrong or right news media will learn any lessons as the fruit of their ratings are driven as the controversy driven by those erroneous reports plays out in the burning buildings of Ferguson? Perhaps President Obama will learn a lesson. Hollow words coming from someone who days before engaged in one of the greatest usurpations of legislative authority in history. Yet somehow, the President’s teleprompter writers caused most of the nation to snicker in disbelief as he claimed a rule of law for others that he, himself, does not submit. Perhaps America will learn a lesson. Don’t believe early reports, and don’t take sides in criminal justice cases. Whether it is the O.J. Simpson murder trial, the George Zimmerman or this Michael Brown case, the public knows significantly less about what happened than someone who is sitting on the Grand Jury questioning witnesses, or in a jury box. Those sitting in the position of responsibility to determine whether there is probable cause for a case to go to trial or whether the defendant is guilty beyond a reasonable doubt have sworn an oath that they will treat the accused as innocent until proven guilty. For me, I choose to accept the integrity of that system, even when I don’t agree with their findings, and I choose to reject demagogues on all sides who seek to politicize Ferguson-like situations. America has a long history of treating juicy criminal trials as a perverse form of reality entertainment, from the folklore of Jesse James to Lizzie Borden to Bruno Hauptman to O.J., we love a good real life Law and Order episode. The cases that catch the public’s imagination have to have a hook. Is the defendant attractive, rich, a celebrity or the trifecta? Is there a racial component that can appeal to base fears and instincts? Is there some unusual perversion or abnormality that catches the 140 character attention span of modern America? But criminal trials are not sporting events. They are searches for the truth through muddy water with conflicting testimony and viewpoints. They are not television shows where the accused is always clearly innocent or guilty. They are messy judgment calls. In most countries in the world, the state almost always wins because the accused is presumed guilty unless they can prove their innocence. In America, anything less than the prosecution’s complete and total annihilation of all reasonable doubt about the guilt of the accused is designed to result in a finding of not guilty. In spite of the obvious fact that sometimes the guilty go free under this system, would anyone have it any other way? 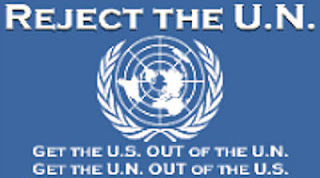 Tags: Ferguson, Mo., Rick Manning, Americans for Limited Government To share or post to your site, click on "Post Link". Please mention / link to the ARRA News Service. and "Like" Facebook Page - Thanks!